SEA HUNT COMPLETE DVD SERIES! Buy them by individual volumes or Save $$ and buy all four! 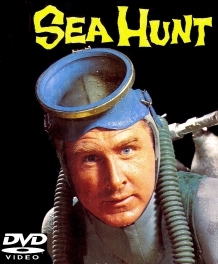 Sea Hunt was one of the most popular shows in syndication in the Sixties (episodes were filmed from 1957-1961). The haunting theme music really reflects perfectly the murky despair of the show. 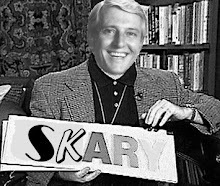 The show was produced by Ivan Tors (Daktari) and the underwater footage was shot in various warm water places around the world; from California to Australia, from the Caribbean to the Florida Keys. Mike Nelson hunted down criminals from the undersea underworld and ran afoul of sharks, manta rays, octopuses and giant sea turtles. The experienced skin diver also went after salvage and did rescues. Whenver danger or excitement lurked below the surface, Mike Nelson was ready for action. volumes or Save $$$ and buy all four! theme music really reflects perfectly the murky despair of the show. sharks, manta rays, octopuses and giant sea turtles. Nelson was ready for action.